As promised in our last post this is your new go to place for the best Italian food and recipes. 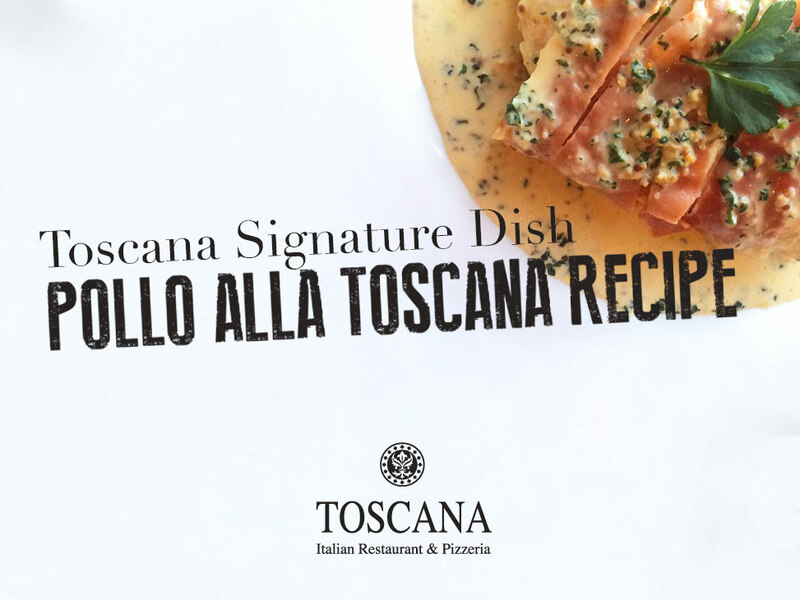 In this blog post I am going to share the recipe for our signature dish, Pollo Alla Toscana. This dish has been one of our favourite best selling Italian chicken dishes and has stood the test of time. This recipe is incredibly simple both in seasoning and its cooking. Prepare to have your mouth water with this delicious dish rich in herbs and flavoured meats. 2 – Butterfly and flatten each chicken breast. Place breasts on flat surface. Season with salt/pepper and garlic and place 3 basil leaves and 50g of mozzarella cheese in each chicken breast and then roll the breasts up. 3 – Wrap the chicken breast with 2 slices of parma ham. This will not only flavour the chicken but also protect it while it cooks. lightly cover with a little butter and wrap each breast in tin foil and then place in preheated oven for 30mins. 4) – Wash spinach leaves and place in a hot pan with olive oil and cook until spinach has slightly wilted. Meanwhile to make the sauce, place 200g of fresh cream with 200g of Gorgonzola cheese in a saucepan with a little ground pepper and a swig of white wine. Cook slowly until cream reduces and becomes a thicker consistency. To plate up place the Gorgonzola cream sauce on a serving plate with the spinach and place chicken breasts on top. This dish is really nice served with roasted vegetables and your favourite glass of wine. And there you have it the first of many recipes that we’re looking forward to sharing with you. If you’ve any questions about this receipe please feel free to comment below and if you make this yourself please share it with us on our Facebook page! Until next time, buon appeti! Do you want to know the recipe to our favourite Italian dish? 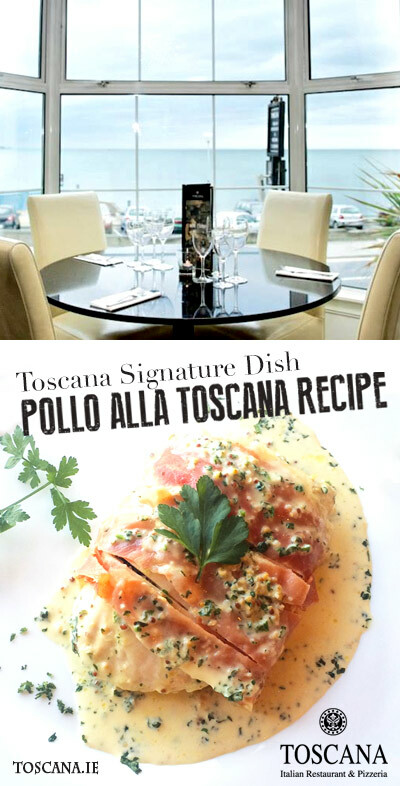 Polla Alla Toscana is a top seller in our restaurant & now you can prepare it yourself!